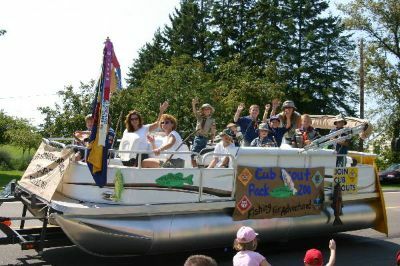 The Parade is always a big hit with people of all ages. 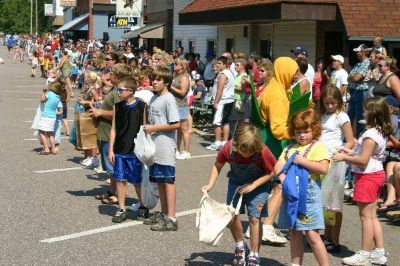 Thousands line the streets and sidewalks to celebrate another great summer and enjoy displays from the people and organizations that make Portage County great. 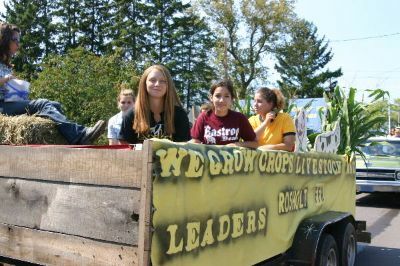 From hay trailers to buses, tractors to cars, kids on skates to a mini car train, everyone has something to offer and decorate for the celebration. 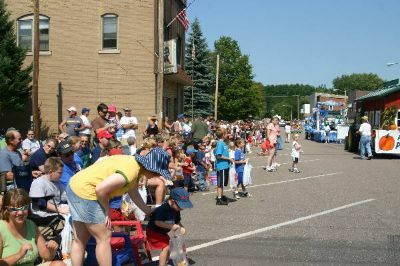 The parade lines up near the Rosholt Public Schools at West Randolph Street and Mason. We recommend arriving early to avoid traffic and get a good spot. The parade starts at noon and normally lasts about an hour. 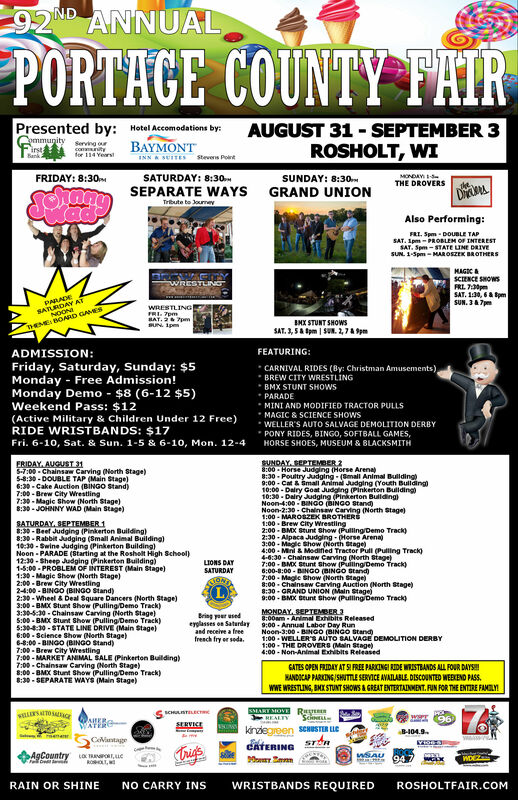 Please fill out an ENTRY FORM. 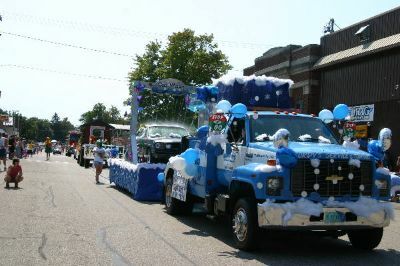 Contact Deb Morgan, Parade Director with questions: 715.498.3846. 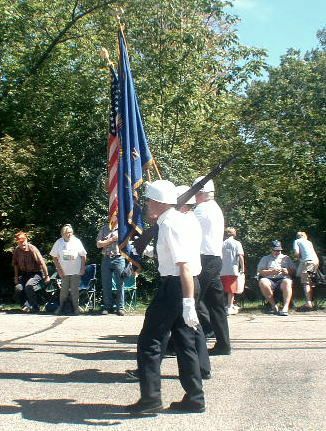 OUR parade ALWAYS leads off with our local Nelson-Kaminski Post American Legion Color Guard. It’s a LONG Parade route but they DO it. We should thank them for the other things THEY have done for US. Thank you Nelson-Kaminski Veterans! 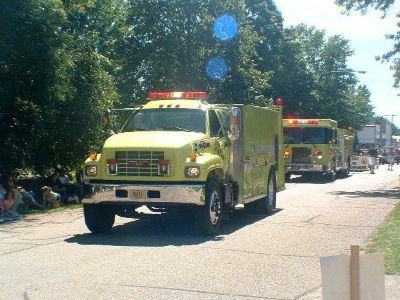 A PARADE woudn’t BE a PARADE without FIRE TRUCKS! We can thank our Volunteer Fire Department members TOO for the services they perform! 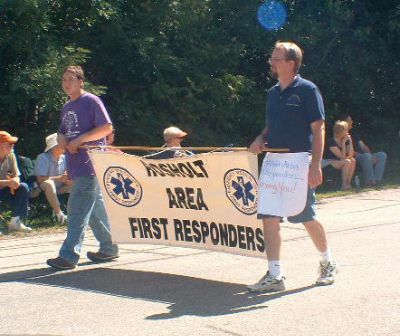 We ALSO can thank our local FIRST RESPONDERS for the wonderful things they do when we REALLY need HELP! We are ALWAYS pleased to have the RHS Band in the Parade—what’s a PARADE without the local school BAND? 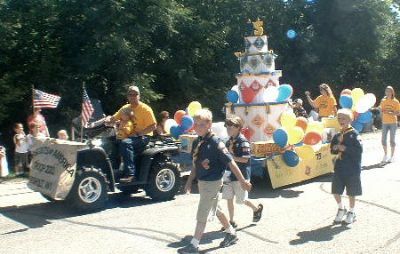 You have to start ’em young to train ’em right and the CUB SCOUTS is a great start toward that end! 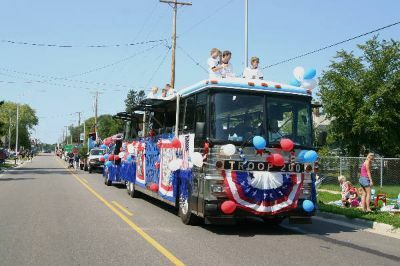 This would be a good time to mention that OUR Parade is the LARGEST parade in Portage County! In Election years it’s even BIGGER. 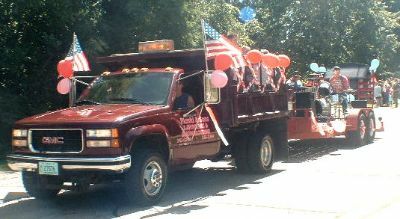 It seems EVERY ONE and EVERY THING gets all decked out for a PARADE like THIS truck for example. SOME vehicles don’t need ANYTHING to look teriffic like this 1931 Buick. 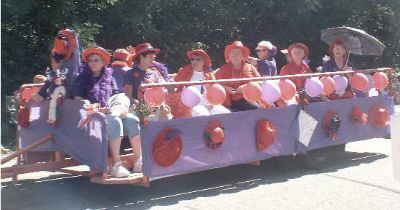 Our local Red Hatters, the ROSHOLT RED HAT DIVA’S, even got into the act this year!!! Hmmmmmm……I just don’t understand WHY they call them RED……………….